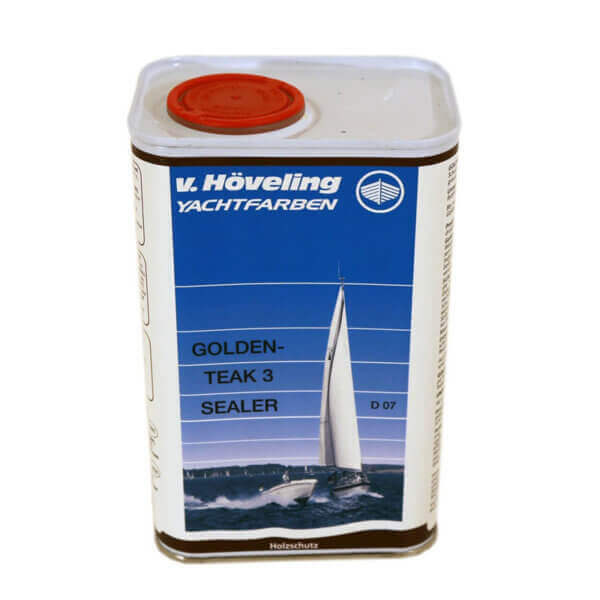 Golden Teak 3 Sealer is a thin non-greasy fluid, as opposed to obese teak oils of other brands. Golden Teak is a teak treatment series with washing, bleaching and sealer with waterproofing which restores graying teak and maintains and preserves teak golden glow. 1. Golden Teak 1 Cleaner to get dirty and gray teak clean. 2. Golden Teak 2 Brightener to revoke the luster of the teak deck again. 3. Golden Teak 3 Sealer to seal and preserve teak. The Sealer treatment is done on freshly cleaned and brightened teak (step 1 + 2) or freshly sanded teak to achieve the best results. At spring refurbishment, you can take a 180-slip paper and gently sand to remove stains before handling Golden Teak Sealer. 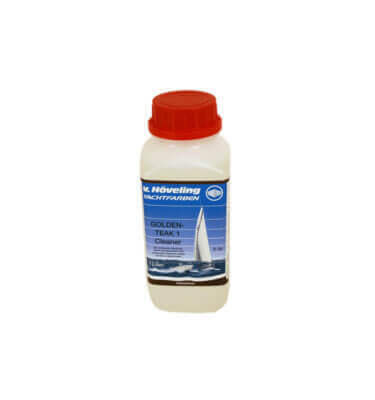 Unless the teak is new or newly sanded, Golden Teak 1 Cleaner and Golden Teak 2 Brightener should be used before Golden Teak 3 Sealer is applied. Apply two thin layers with at least one day of drying between them. NOTE! The jar needs to be shaken before use! Wash the teak regularly with lukewarm soapy water during the season. NOTE! Do not brush the teak with levang! Stains that come on the plastic are removed with thinner. Must be stored frost free for approx. 15-20 ° C.
Unopened jar should be shaken approx. every third month. Shelf life is app. one year. Minimize the supply of oxygen in an open can by pouring the sealant into a smaller glass jar, which is completely filled and closed with lid. Also shake this jar regularly to prevent the pigment in the sealant from sinking to the bottom and coagulating.